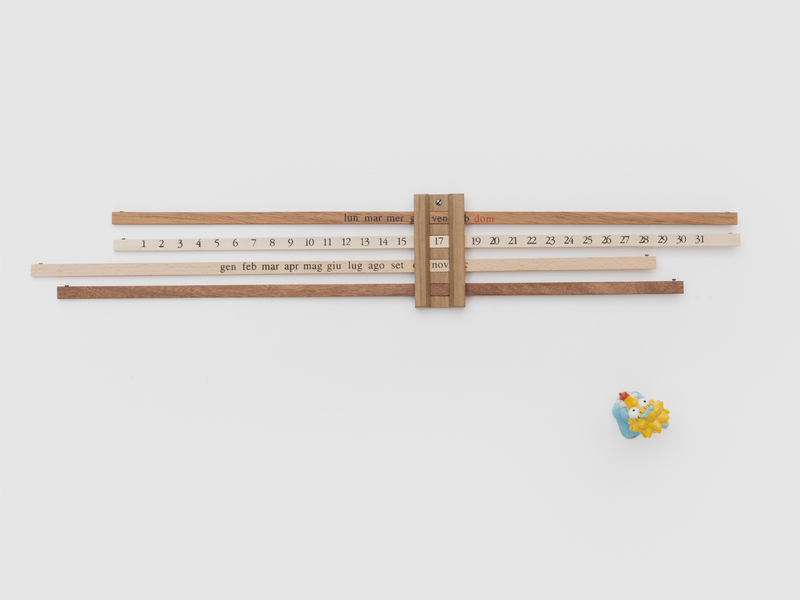 Calendario bilancia is a wall calendar that underlines the passing of time thanks to the human intervention needed to methodically change the date each and every day. 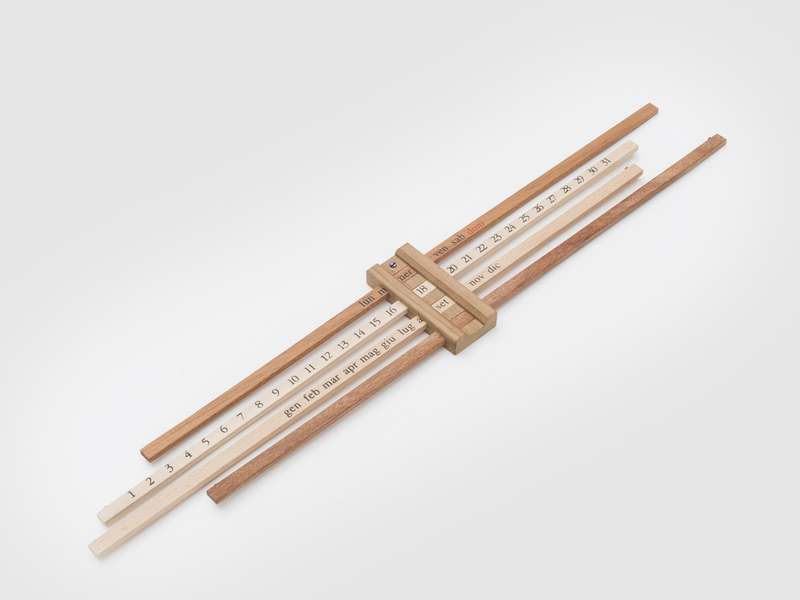 It consists of four horizontal strips of different woods printed with either the days of the week, the months or dates. 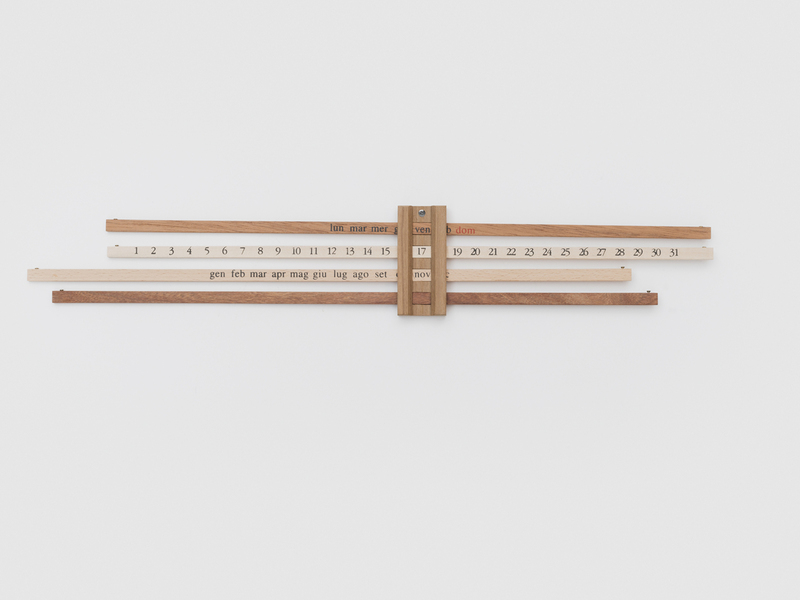 These strips slide through a single central wooden pivot, which frames the date combination. 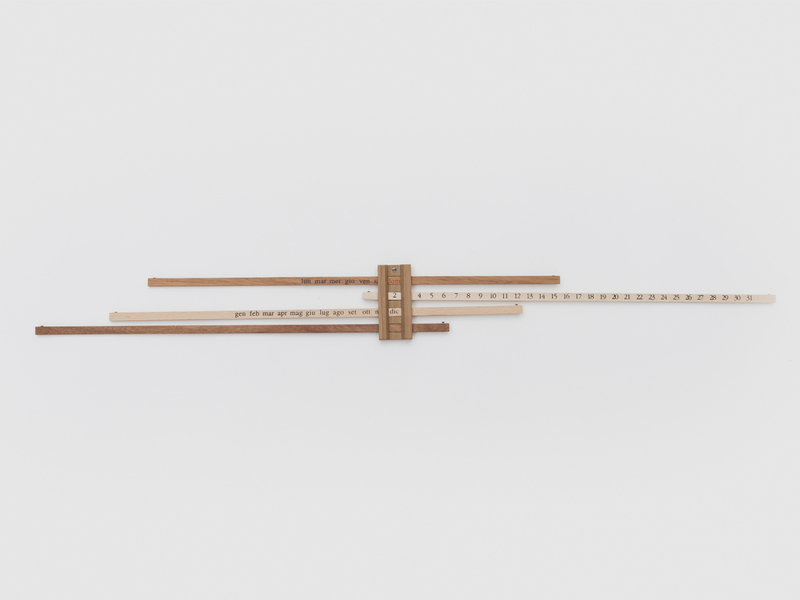 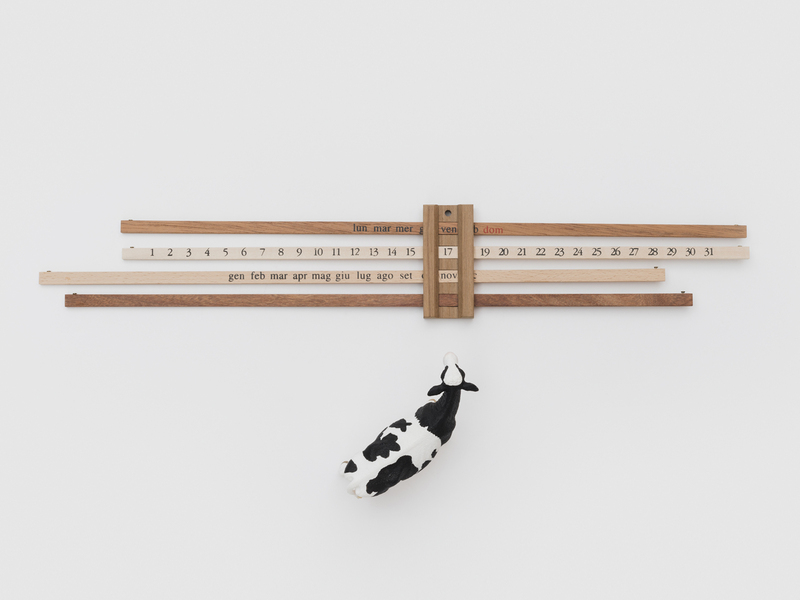 The structure plays on the equilibrium of the thin wooden strips and turns the usual function of a set of scales on its head, turning it into a calendar.